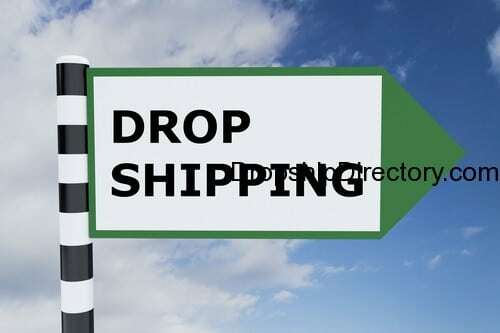 Dropshipping is enjoying great popularity in the business industry, considering the small amount of start-up capital it requires compared to traditional types of businesses. Since there is no need to purchase supplies, rent storage or shop location, or hire workers, a new entrepreneur can save a great deal of money through drop shipping. 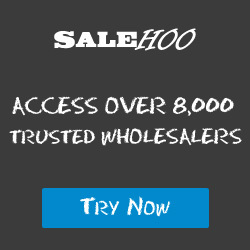 As soon as you have found a reliable Dropship Wholesale Supplier to partner with, the next step is to prepare your online store. 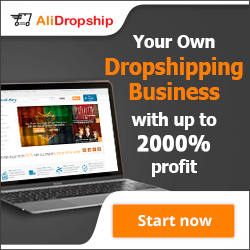 Instead of purchasing a website right away, you can start selling dropship products online through eBay. All you have to do is sign up as a seller and create your own eBay Retail Shop. Even if you do not know HTML language or other programming skills, you can easily put up an online store using ready-to-use widgets and templates. Since eBay is a leading auction site in the internet, you can expect to get receive a high rate of visits to your shop from prospective buyers all over the world. Despite the tough competition among eBay Sellers, you can still make significant number of sales by choosing a specific niche market. Make sure that stocks are always available. Before promoting products on eBay, coordinate with your Dropship Supplier if there are sufficient stocks available for large orders. You don’t want to disappoint a customer who already placed an order by saying you have ran out of stocks. Keep in mind that a disappointed customer may not purchase from you again. Ensure the quality of your items. See to it that your Dropship Wholesale Supplier only sends out their highest quality items to your customers. If one of your customers receive damaged or a poor-quality item, you will surely be given a negative review and bad rating which can damage your overall reputation as an eBay seller. Provide Clear, Eye-catching Photos. Many people who shop online prefer to look at items with photos. Thus, they can immediately see the item and get a better idea on what they’re buying. Make sure that the photos you post are clear, not blurry. Include detailed, accurate descriptions. When posting items for bidding, be sure to include a detailed and accurate description (size, weight, color, etc). Remember that a prospective buyer would most likely make the decision to make the purchase based upon what the description tells them. Guarantee, warranty, and/or return/exchange policy. Assure your customers that they will be happy when they receive their order by including a Guarantee, Warranty or Return/Exchange option. Clearly state the terms and conditions in case your customer has issues about his/her purchase. Offer flexible payment options. Some buyers prefer to send payment through a third-party payment system like PayPal while others prefer to use credit cards. Some people are more comfortable sending payment through Wire Money Transfer or Postal Money Order. If you can accept all these modes of payment, you encourage more bids from more buyers as well. I have sold items on eBay using a dropshipper. While I did make a small profit the margins were so small that if eBay were to raise its fees, it would trounce any margins that existed. Over time, I have found that the best way to get any kind of margin is to go the wholesale route. Of course, that does mean taking in large quantities of product. Another option is to form a coop for goods with someone who is willing to store the product. I do agree dropshipping is a good way to get started. Just be careful who you pick as your dropshipper. There are a lot of scams out there. eBay is a good place to start. In 2001, my wife and I sold our first dvd on eBay. 8 years later, we were doing 1.8 million dollars in online revenue. Most of that was coming from our own site and Amazon, but eBay was the place where we first started and cut our teeth in the online business world.